Episode Summary: When Michael Martin got mugged in New York City, he gained instant and first-hand knowledge of the inadequacies of our current 911 Emergency Response System. Unable to easily dial his phone, give an accurate description of his location, or ask his attacker to pause so he could relay important details, Michael didn’t get the help he needed in a timely manner. The 911 system failed him as well. Built on 1960’s infrastructure, our nation’s emergency calls are relayed via an old public switch telecommunications network. Using this voice-only technology means the information relayed to operators is dependent on callers being able to have a clear, coherent conversation during a time of crisis. Now imagine a world where 911 operators and emergency response units have access to the same connective smartphone tools and data that companies like Uber, Lyft, WhatsApp, Skype, and Waze. They could identify a caller’s exact location, receive timely and accurate medical information, potentially get a live feed into the situation, and possibly even identify an assailant in real time. That’s the vision that inspired Michael to start RapidSOS. Listen to this episode for more on how RapidSOS launched and what the company is doing with their recent round of funding. AVG-affiliated funds Castor Ventures, Chestnut Street Ventures, Strawberry Creek Ventures, Spike Ventures, and Yard Ventures invested in RapidSOS alongside Microsoft Ventures, Highland Capital, AAA, and other top venture firms. 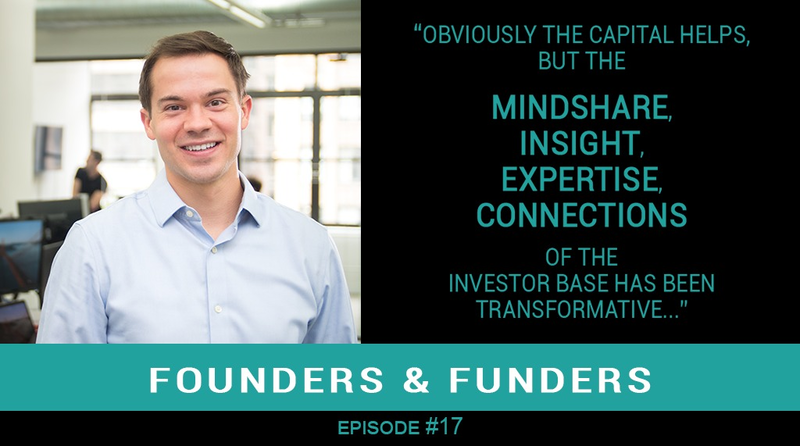 Founders and Funders is a podcast where we discuss how entrepreneurs and investors work together to build great companies. Our guests — many of whom are connected with AVG as entrepreneurs, investors, managing partners, fellows, and more — are invited here to talk about the journey of building companies from incubation to early-stage investing and beyond.